Your company produces bakery meal, cookies, potato chips or other kinds of food? We can provide you with efficient green solutions that will save you money! PROREC: your eco-profitable alternative. Seeking good by products for your animal feed rations? We specialize in ingredients for pork, bovine, dairy and poultry feed that will help you lower animal feed costs without compromising nutritional values and actually increase quality. PROREC: your economical alternative. Our residual waste management expertise enables us to offer smart state-of-the-art consulting services. We provide optimization solutions tailored to your operations and that are easy to integrate so you can meet your zero-landfill objective. Call us today for a free consultation. You are a responsible environmentally conscious company that wants to operate sustainably, but is also looking to reduce costs? Together we can make it happen! PROREC specializes in recovery and recycling output gap from bakeries, chocolate and candy makers, dairy farmers and processors, and also recovering used vegetable oil. Even once deemed no longer sellable, most food still retains its nutritional value. Rather than go to waste, this food is repurposed and converted into nutritional animal feed byproducts. Improve your brand and company image by doing something tangible for the environment. When companies like yours and PROREC joins forces, it adds up to thousands of metric tons of waste food diverted from landfills each year. We provide 24-7 pick-up service and we never leave your premises unless we’ve ascertained they’re clean and properly maintained. Our systems track output gap in real time based on your own performance indicators. PROREC is a tireless innovator in the food recovery business and the primary beneficiaries are our customers! Upon request, we can issue destruction certificates for the food we recover. You’re GFSI, HACCP, SQF, FSSC 22000, BRC, ISF certified, etc. Our equipment is up to the standards of these food safety quality systems and we can supply any documents related to the food recovery conducted at your plant. PROREC inc. est une entreprise leader dans l’Est du Canada en ce qui a trait à la commercialisation de coproduits provenant de l’industrie agroalimentaire. Fournisseur de coproduits et sous-produits de grains destinés à l’alimentation animale, nos ingrédients contribuent à diminuer le coût de vos rations à performance égale. Range of nutritional animal feed byproducts. Product quality control and traceability. Physicochemical and microbiological testing of products at our laboratory. 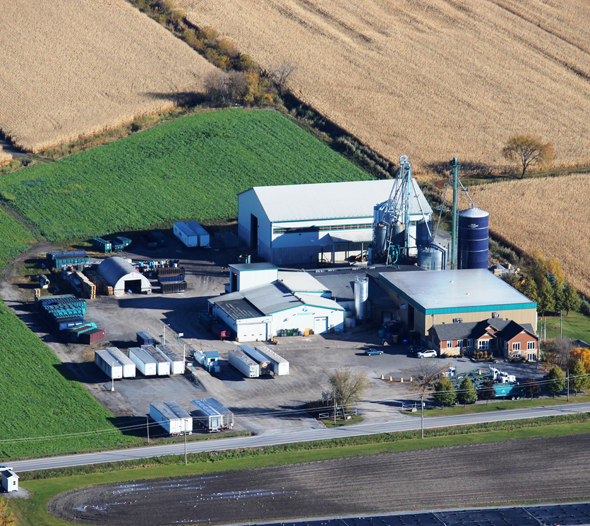 Major community and network of millers and farmers. At PROREC, our team is professional, qualified, competent and passionate about sustainable development! Always looking for innovative ideas to improve efficiency in managing output gap and animal feed. Our engineers created for your benefit and innovative recovery solutions. They install security equipment in your company, train your employees, produce quantitative and qualitative reports on recovery output gap management.